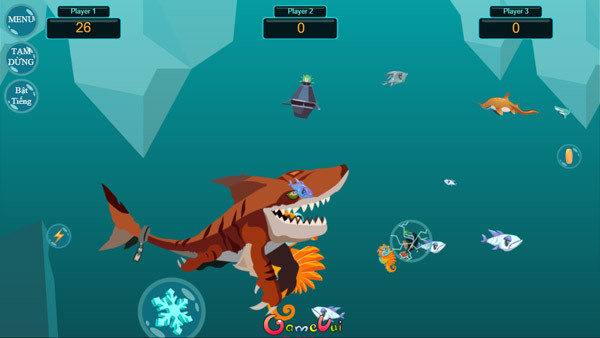 Fish Eat Grow Big - Feeding fish game style Feeding Frenzy - Big fish eat small fish very familiar on GameVui. 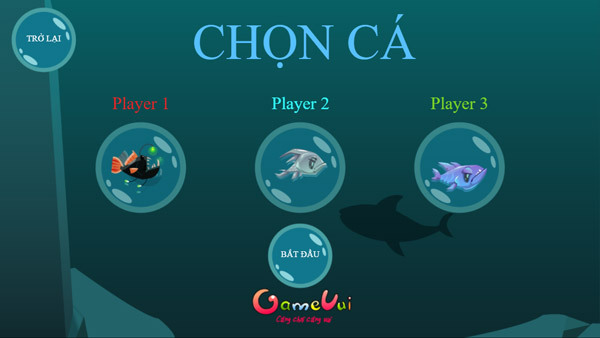 In this game Big fish eat this small fish, you can play 1, 2 or even 3 people playing on 1 computer, and the way to play is the same. First, you will control the fish with the smallest size, move in the deep sea and eat smaller items and fish to grow, becoming bigger. As always, the main purpose of the game is how to keep your fish as big as possible. 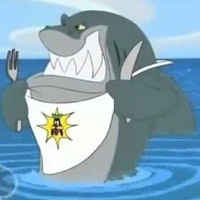 Note that do not eat larger opponents, avoid crashing into bombs, mines, torpedoes released into the sea by fishing boats. Before you start playing, you can choose the game mode on the main Menu screen, the model you want to play. There are 3 models of sharks and demon fish for players to choose. Pay attention and avoid the big aquatic monsters, collect gold coins, shields ... to increase power quickly. Game Fish Eat Grow Big played 6 times.